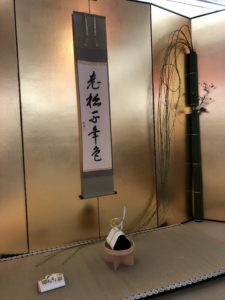 On Sunday, January 13, 2019, the general meeting and Hatsudateshiki was held at DoubleTree by Hilton Los Angeles Downtown. 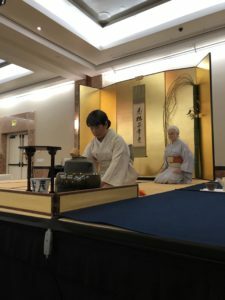 Ninety-seven members of the Urasenke Tankokai Los Angeles Association(UTLAA) attended the 2019 general meeting. Chief of Administraion, Mme. 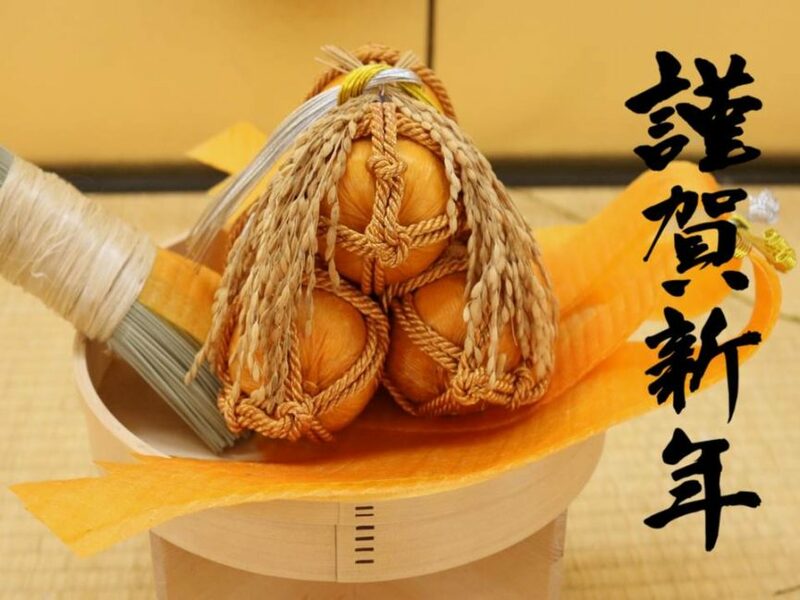 Soyu Uyesugi, who fulfilled her two 2-year term, expressed her sincere gratitude to the UTLAA members, her family, and the managers who worked with her between 2015-2018. Then she passed the baton to incoming Chief of Administration Mme. Soshin Robinson. 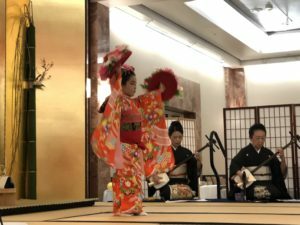 For Hatsudateshiki, we had a total of 122 participants including guests from the Consulate General of Japan in Los Angeles, Japanese Chamber of Commerce of Southern California, and Urasenke Tankokai Orange County Association. The hanging scroll ‘Oimatsu Sen-nen no Iro’ by Zabosai Grand Master was set on the alcove. 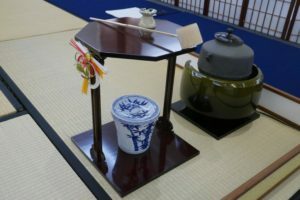 The auspicious ‘Sho-chiku-bai (pine tree-bamboo-plum)’ combination of the utensils including ‘Ijinuri Karamatsu Makie Onatsume’ tea container; ‘Sometsuke Take Suehiro’ water vessel; and ‘Iroe Baika’ tea bowl were used for the celebration of the new year. During the lunch, the guests enjoyed traditional Japanese music and adorable dances. Everyone enjoyed participating in the raffle drawing and won many prizes.